One of the original metal Monopoly game pieces was a ship, but the founders of the classic board game probably never expected their invention to make it all the way to the high seas! Genting Dream and World Dream, the two megaships operated Dream Cruises, is now offering guests the chance to play in the tournament of world’s first-ever life-size Monopoly board game at sea, featuring a customized game board with property spaces that are named after signature outlets and amenities aboard the cruise ship, such as Crystal Life Spa, Little Dreamers Club and ESC Experience Lab. 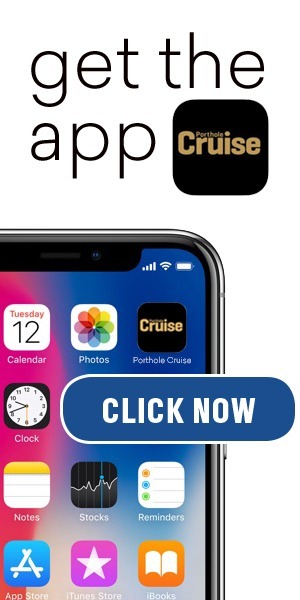 Dream Cruises takes the Monopoly board game at Sea beyond the game board and fully integrates the game with every cruise journey – upon patronage of designated amount at on-board dining, service, retail and entertainment outlets, passengers receive a Monopoly Title Deed Card. Simply collect a full set of Title Deed Cards in the same color category to redeem instant prizes like retail discounts and complimentary menu items! 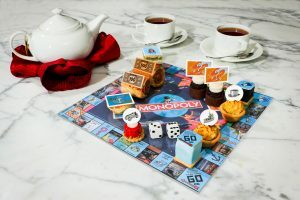 Passengers are also encouraged to play with their food – namely with the limited-edition tea set, in which iconic game tokens are transformed into delectable treats, all served on a game board platter. Mr. 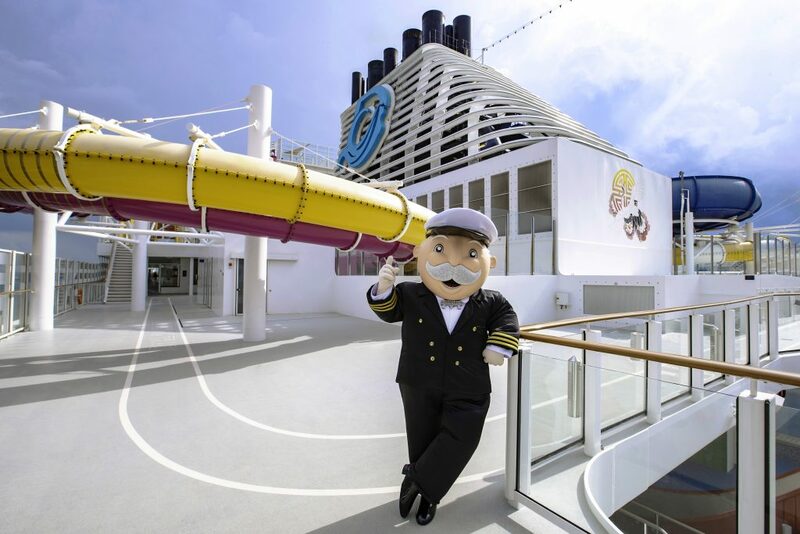 Monopoly, the iconic character of the game, will dress up especially for the occasion and greet passengers during tea time in his tailor-made captain uniform. Mr. Monopoly will also don the role of the God of Fortune on designated sailings, where he will join the Chinese New Year parade and distribute golden chocolate coins to wish everyone a prosperous year of the pig; he will also make guest appearances at entertainment shows, including the two brand-new stage productions – FAITH and Dulce Habana on World Dream, as well as SONIO – ‘A Tale of Two Dreams’ and Some Like It Hot, both of which are recently launched on Genting Dream. What other board games would you create a themed cruise after… Clue? Risk? Candy Land? Let us know in the comments below!